DataMax LLc Maximizing Your Network Solution. Local Area Network (LAN): Local Area Network (LAN) is a computer network, which is limited to a small office, single building, multiple buildings inside a campus etc. Typically a Local Area Network (LAN) is a private network owned and maintained by a single organization. Wide Area Network (WAN): A Wide Area Network (WAN) spans over multiple geographic locations, which is composed of multiple LANs. It is nearly impossible for a small to medium organization (except Network Service Providers) to pull network cables between their two offices in two different countries located 1000s of kilometers away. Network Service Providers (also called as ISPs) provide the connectivity solutions for Wide Area Networks (WAN). Single Mode Fiber Optic Cable Single Mode fiber optic cable has a small diametral core that allows only one mode of light to propagate. Because of this, the number of light reflections created as the light passes through the core decreases, lowering attenuation and creating the ability for the signal to travel faster, further. This application is typically used in long distance, higher bandwidth runs by Telcos, CATV companies, and Colleges and Universities. Multimode Fiber Optic Cable Multimode fiber optic cable has a large diametral core that allows multiple modes of light to propagate. Because of this, the number of light reflections created as the light passes through the core increases, creating the ability for more data to pass through at a given time. Because of the high dispersion and attenuation rate with this type of fiber, the quality of the signal is reduced over long distances. This application is typically used for short distance, data and audio/video applications in LANs. RF broadband signals, such as what cable companies commonly use, cannot be transmitted over multimode fiber. Structured cabling Structured cabling is a standards-based approach that alleviates the cable management issues. Structured cabling systems use various product sets, like fiber optic trunks and fiber optic enclosures, to enable a static cabling infrastructure to easily adapt to the ever-changing landscape of data center hardware migrations. A well-designed structured cabling system increases uptime, optimizes scalability and maximizes return on investment while decreasing your technology footprint and minimizing operating expenses. 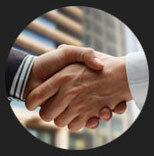 Having an experienced partner like DataMax by your side can help. We're here to help you design the perfect structured cabling solution for your business needs.